In Berlin’s Spandau district, tenants open the doors to their buildings as if by magic – with the KIWI entry system. The system was tested from autumn 2017 by service point staff, facility manager and tenants in the Falkenhagener Feld neighbourhood in Spandau, Berlin. 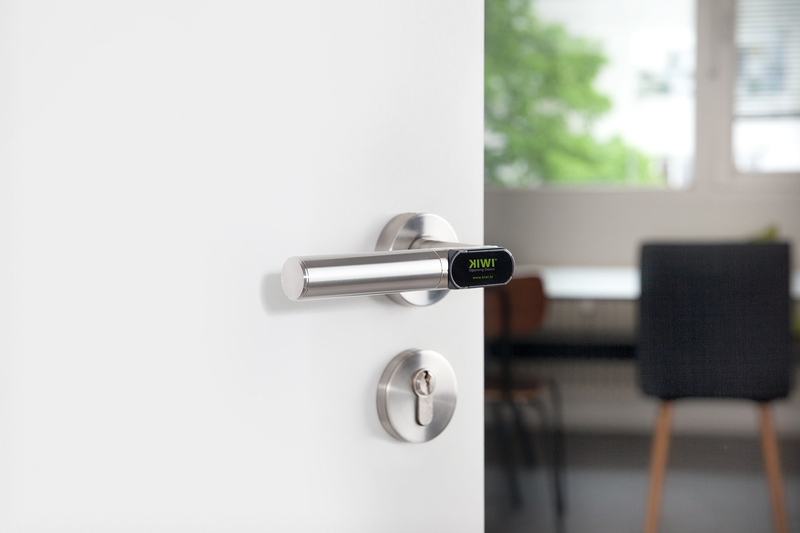 KIWI, the keyless entry system, allows people to open the door to their building without having to dig around endlessly for keys. The small transponder is simply pointed towards the door. If you’re in a rush, you don’t even need to take it out of your pocket. KIWI was developed by KIWI – yes, the proptech company, in which we are minority shareholders, shares its name. The term ‘proptech’ comes from property technology and describes both modern technological developments in the property sector and companies that optimise workflows and processes by developing ultra-modern, user-focused applications. What’s next? In the next five to ten years, we hope to go keyless for all building entrance doors, technical and basement rooms. And to use KIWI for doors to individual homes, such as in living space suitable for seniors and as a kind of industrial lock in renovation. In the long term, all doors in the portfolio should be able to be managed digitally. With KIWI, we are strengthening our position as industry leader and taking a further important step towards digitisation. With the new digital opportunities, we are also increasing our efficiency in portfolio management and improving convenience for customers and service providers. KIWI is opening the door to this development.